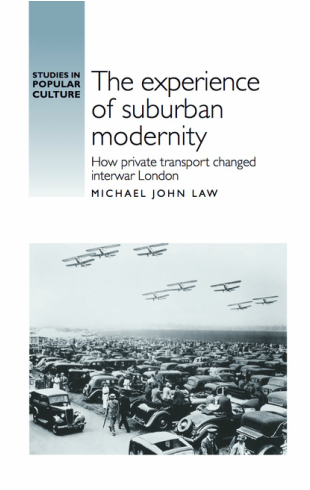 The Experience of Suburban Modernity explores how the adoption of new forms of private transport transformed interwar suburban London. It shows how London’s suburban middle classes use their newly found disposable income to enjoy driving, motorcycling and flying. This book demonstrates that these new practices were welcomed by many, but met resistance to change from those who were dismayed by the accidents that resulted from increased mobility and the aesthetic and cultural changes that were the consequence of Americanisation and suburban development.